Macklin McGregor’s carnality is legendary. His close childhood friend, Destiny Harding, is the single mother of two adorable children fathered by two equally dangerous men. Poor choices and bad decisions behind her, Destiny wants the real deal the third time around. She’s celibate, and everybody in town knows it. Mack wants no part of Destiny’s marriage plans but finds that he can’t outrun, outthink, or outmaneuver God. Reva Mitchell is a survivor. Street smart, yet scared, she is running for her life from a gang boss who wants her dead. Melvin Harris, a new believer, still struggles with pain from his past. He’s open to the Holy Spirit’s direction, and for the first time ever, finds himself desiring to protect. Love is still an emotion he knows so little about. travels home to Indigo Beach, Michigan, for answers. In her book, His Treasure: A McGregor Novel, author M. Lyn Walker takes readers to Morgan’s hometown and on her journey of self-discovery. There she meets fifteenyear-old Petra McDonald. Her widowed father, Jacob McDonald, struggles with Petra’s rebellion, and he sends her to his mother for the summer so that she can sort out Petra’s problems. As a favor to the girl’s grandmother, Morgan agrees to become Petra’s companion. But her scandalous past forces Jacob to make a terrible decision that propels his daughter into danger. 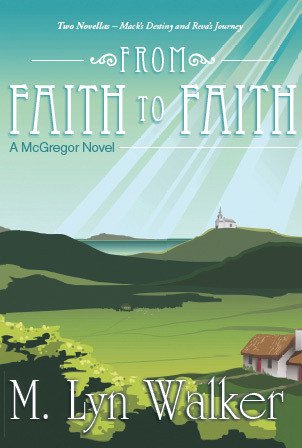 Long-held secrets come to light in His Treasure: A McGregor Novel as Pastor Deon of New Life Full Gospel Church helps his followers understand pride’s destructive power, and that healing begins with repentance and self-forgiveness. Don’t Forget Your Humble Beginning! Thank goodness for grace and mercy! The pace I’m running is one I set! Copyright © 2013. M. Lyn Walker	. All rights reserved.